Passionately defending your constitutional rights. 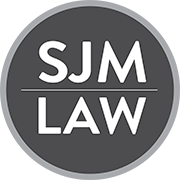 Birmingham Alabama Criminal Defense Lawyer Scott James Meyer provides first-class criminal defense representation in Birmingham and the State of Alabama for drug offenses and other felonies and misdemeanors. He’s maintained a lifelong commitment to helping those who need it most against the rapid and destructive encroachment of the police-state. He has trained at some of the finest schools in the United States and Europe and has been published in numerous law journals. In addition to attending law school in America, he is a graduate of the prestigious Masters of Laws (LL.M) program at University of Glasgow of School of Law in Scotland. The LL.M degree is an advanced specialized law degree held by only a very small percentage of American lawyers. He is a member in good standing of the Alabama State Bar and a past member of the American Bar Association, American Immigration Lawyers Association, International Bar Association, European Criminal Bar Association and the International Criminal Bar Association. Scott James Meyer achieves success for his clients through a practice that focuses on hands-on investigation and research. He has highly-trained investigators available to assist with your case, including a retired Special Agent for the United States Department of Justice and a former City of Hoover police officer. As a result, he has an intimate knowledge of how prosecutors and law enforcement officers will develop and prosecute your criminal charges or DUI. If you or someone you care about has been charged with a crime or questioned by the police, the stakes are very high. The consequences of a criminal conviction for DUI, drug crime or any other offense can include jail or prison time, fines and a mark on your record that can have a serious impact on your plans for the future. You cannot afford to lose your case. Acting fast after an arrest is one of the most important things you can do. Don’t take your chances with the legal system and law enforcement officers. Your future and your freedom are at stake. Don’t say anything until you’ve spoken with Criminal Defense Attorney Scott James Meyer. Every second counts. Please contact our office today for a free consultation.